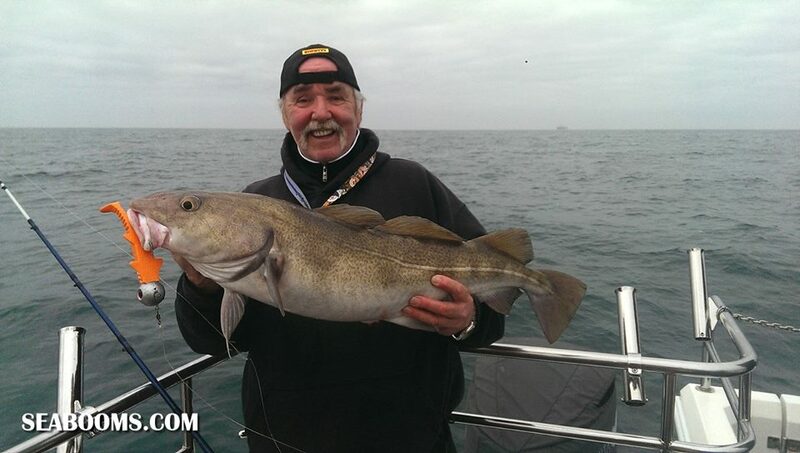 Fishing at its best Cod and Bass, just as predicted! 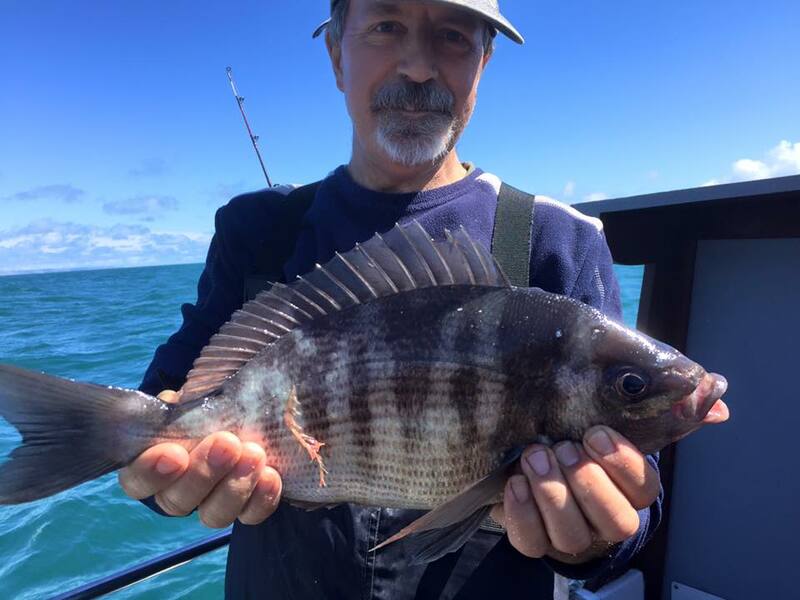 It has been a while since I have done a boat report, but as the boat fishing has been even better than the shore fishing at the moment, I thought it was time to do a catch report. 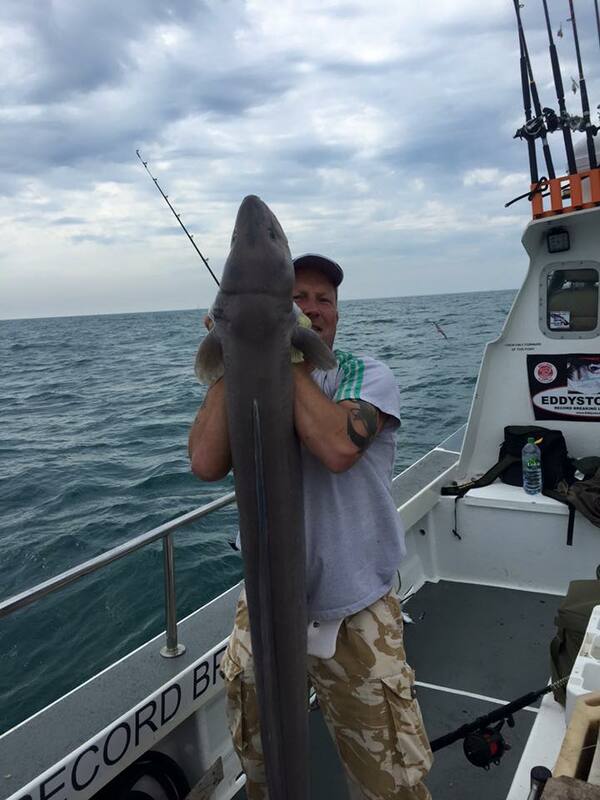 Trad Casey has been showing once again that you don’t need a fast boat, or have to travel miles to catch great fish. His boat Gypsy is a firm favourite with members of the Weymouth Angling Society, as it is always booked for their monthly boat competition. During a recent competition members of the club managed a great variety of species all from inshore marks. 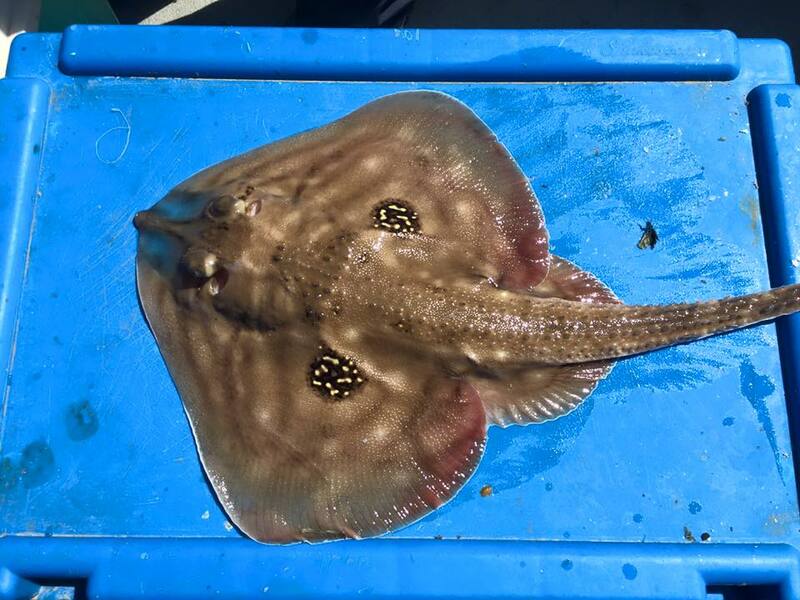 Species include large Bull Huss, Undulate Rays, Cod, Bream and an unusual Cuckoo Ray. Young skipper Ryan Casey has been working hard over the past week, with several wreck and reef trips out of Weymouth. Although Ryan is one of the charter fleet’s youngest skippers, he knows how to find the fish. 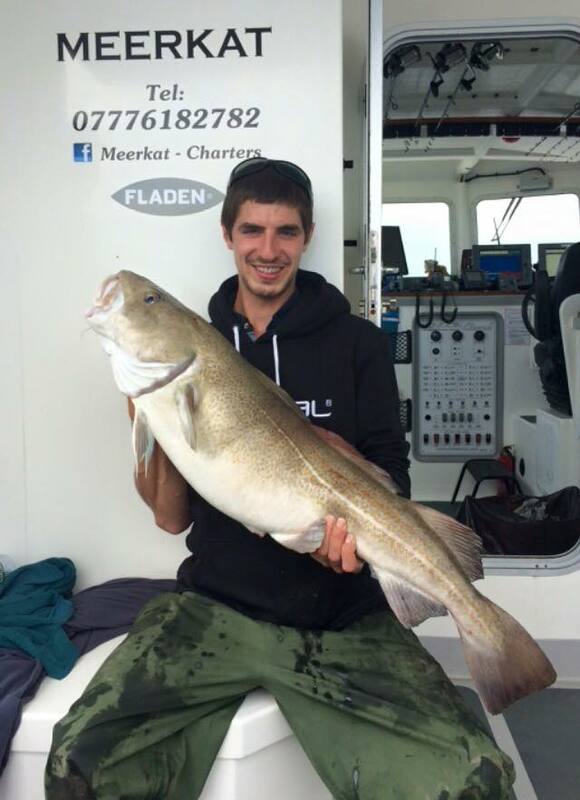 With Cod over 20lb, a stunning John Dory and one of the biggest inshore Conger Ryan has seen to date. 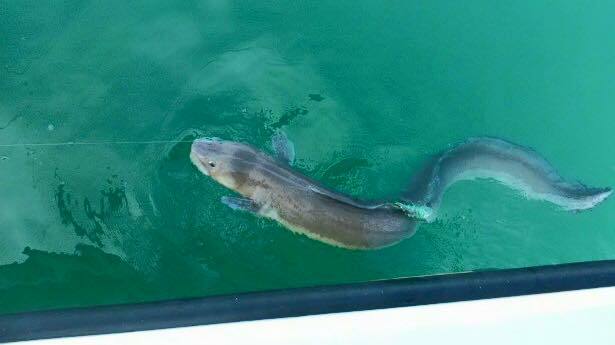 The Conger was caught only 5 miles from home base. 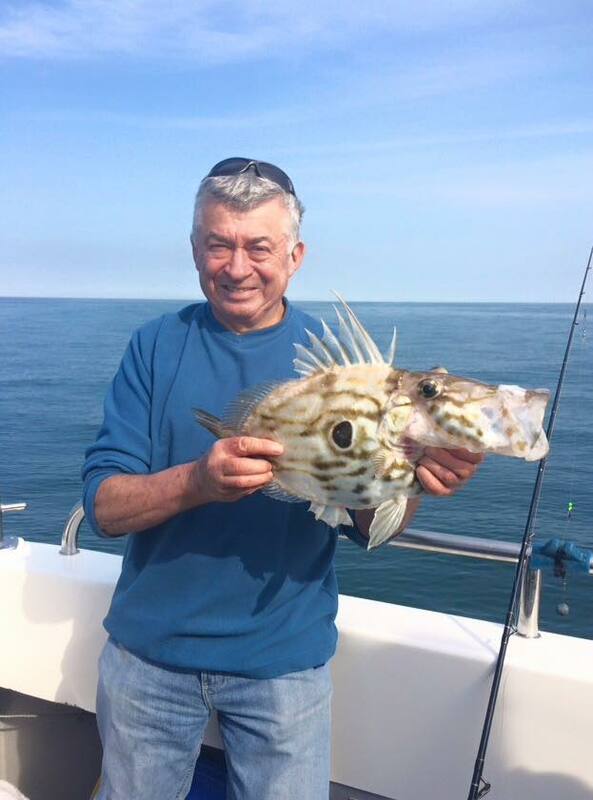 Local angler John Rollinson managed a 16lb Ling from one of the Weymouth wrecks. 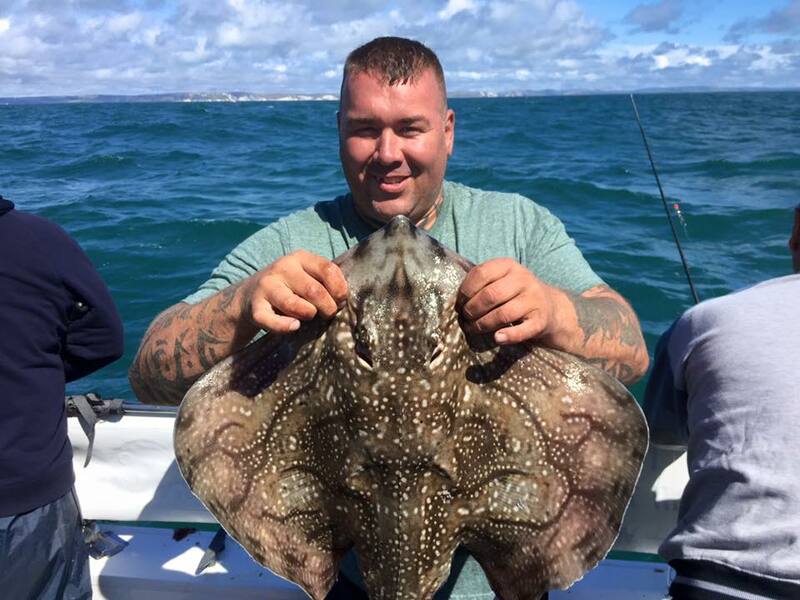 Another of Weymouth’s young guns, Luke Pettis skipper of Snapper has been having some exceptional fishing, both inshore and on the wrecks. With loads of big Bull Huss and Conger up to 50lb, you would go home thinking you had just had a great trip. 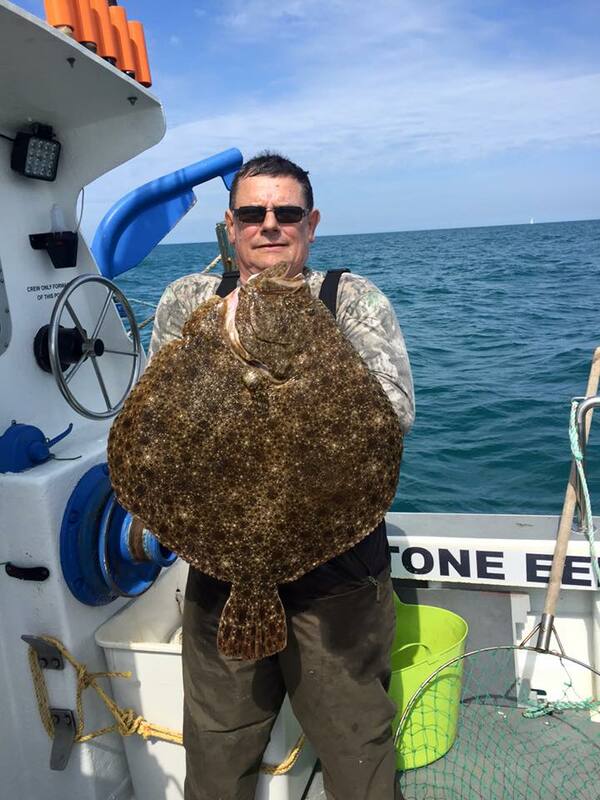 When you throw in an 18lb Turbot from the wreck, you know thats a special day. 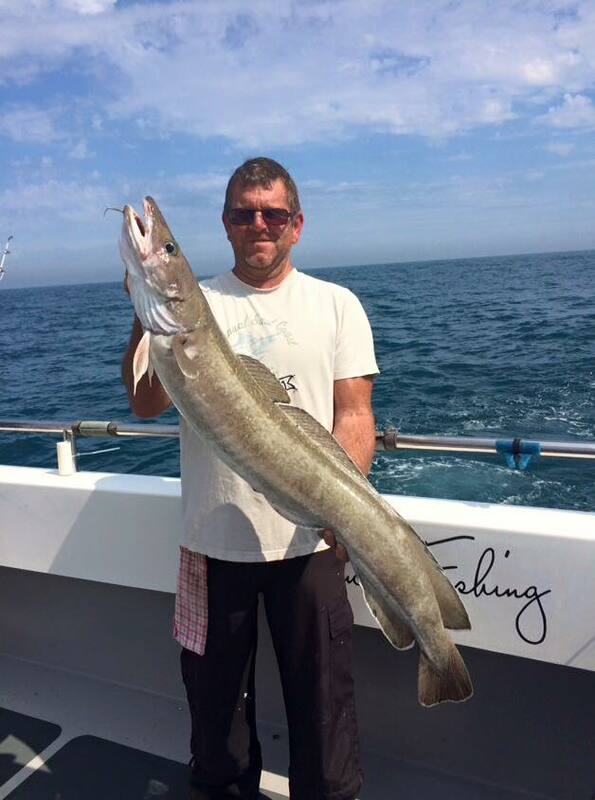 I know that Luke has made a bit of a booking error for this coming weekend, and he has a number of spaces available on Saturday and Sunday for a day of inshore fishing. Bass, Bream and Turbot will be amongst the species being targeted. I spent a day out with Luke two weekends ago and we had our full compliment of Bass for everyone, as well as a great catch of Bream. If I can change my plans for this weekend, I will be joining him on one of the days. If you want to go out with Luke then give him a call on 07833 492948 I might see you onboard! I know that a lot of you like the boat reports and other boat features. Unfortunately I don’t have enough time to write as many as I would like. However I am delighted to announce that we should be having a lot more boat features, as Allan Yates has agreed to write some for us. Alan has been boat fishing for many years and runs his own website Seabooms.com He specialises in making lures that catch some big fish. I will let Allan give you much more details over the next few weeks, but to start off with he has written an article on which weights to use when boat fishing. Fishing wrecks isn’t cheap but can be very rewarding if you have the right tackle, recent trip I saw a group of lads who spent more time untangling themselves simply because they chose to buy or make the wrong weights for drifting wrecks or reefs come to that than they did fishing. They all had the DCA style weights which are designed for bottom fishing at anchor not for drifting efficiently, they may be the right weight in grams or ounces but they’re designed to sit on the bottom and not roll around but are certainly not hydraulically efficient for drift fishing. So what does that mean? well the round and pear weights have no flat surfaces, so water flows round them. The DCA has flats that the water hits and pushes forward until it can pass with the results that a 12oz weight is about as efficient as a 10oz, or even less in stronger tides. On one drift I counted 6 anglers plus one from the other side of the boat all tangled up and that went on and on for them, obviously to their frustration and no fish ! The guy fishing the other side of the boat the drift took his gear straight under the boat simply because he was more on a loser with only a 10oz weight when others where on 12oz and the inevitable happened time and time again.He drifted in to the other anglers other side of the boat. 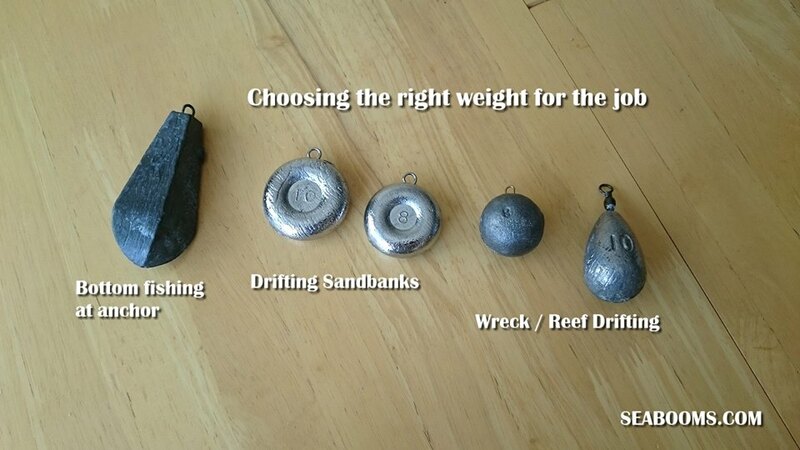 The image above shows IMO what are the ideal weights for drifting or fishing at anchor and work well for me. The DCA style I take various weights up to 2lb if necessary for bottom fishing at anchor. The flat rounds are for drifting sand banks were you want to stay on the bottom but smoothly drift over as the boat moves. The round or pear bombs for drifting wrecks or reefs, or if you want to chase mackerel on the drop/jig. I enjoyed my days fishing and caught well with only a couple of tangles. If your not down there you won’t catch fish and with the speed of drifts, it not only effected them it reduced mine and other anglers fishing time, as the skipper couldn’t set up the next drift until all lines where sorted and up on the deck.